A two-vehicle accident on Highland Avenue Wednesday left one injured. Both vehicles had a single occupant and the road remained blocked while the Washington Police and Fire departments cleaned up the scene. Stay with the Record-Herald for more information. 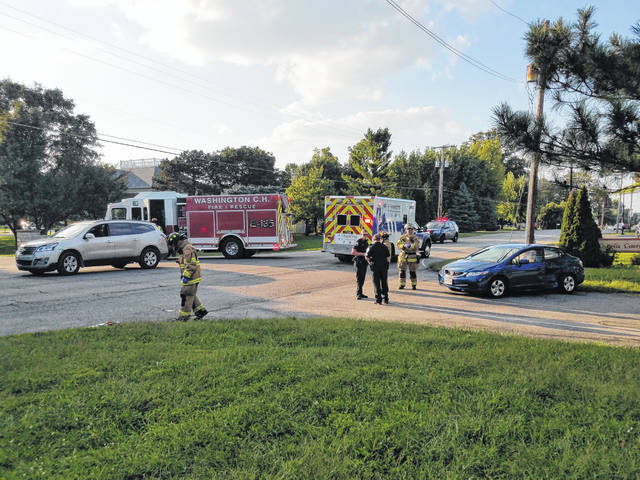 https://www.recordherald.com/wp-content/uploads/sites/27/2018/08/web1_20180822_184746.jpgA two-vehicle accident on Highland Avenue Wednesday left one injured. Both vehicles had a single occupant and the road remained blocked while the Washington Police and Fire departments cleaned up the scene. Stay with the Record-Herald for more information.